c.1300 amaHlubi found a kingdom. 11 Dec 1873 Incorporated into Cape Colony. Note: The ancestors of the Rain Queens were initially the Rulers of Monomatapa, a grandson of one of these Mwene Mutapas was Dzugudini c.1589, eponymous founder of a tribe which flourished till the early 1800's, Mugodo, the ruling chief fathered the first Rain Queen purportedly by his own daughter. Subsequent Rain Queens have been descended from the first Queen. 1885 Incorporated into Cape Colony (Bechuanaland). 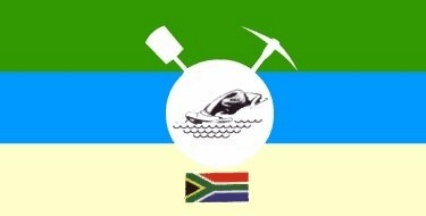 Jul 1884 Incorporated into Orange Free State. Note: All the entities recorded here are, with the exception of the amaGqunukhwebe recorded at the end, genealogically descendants of Xhosa a Mnguni through his descendant Tshawe a Nkosiyamntu, after whom the dynasty is styled amaTshawe. The amaGcaleka are the senior line, and are to some extend deferred to by all the others. 1885 Incorporation into Cape Colony. 29 Oct 1867 Divided into East amaPondo and West amaPondo. 25 Sep 1894 - 30 May 1910). 22 Nov 1872 Incorporated into Cape Colony. 1875 Incorporated into Cape Colony. Western Thembuland) split from abaThembu. 7 Mar 1870 Recognized by colonial authorities. 1840 Protectorate of the Boer Republic of Natal. 4 Jul 1879 British occupation. 1883 Zulu "Native" Reserve (Zululand province). 21 Jun 1887 - 1 Dec 1897 British crown colony (British Zululand)(see Natal). 1 Dec 1897 Incorporated into Natal. 1818 - 1829 Annexed by kwaZulu. Dec 1829 Incorporated into kwaZulu.